The global In-flight entertainment and connectivity market is estimated to be USD 2,152.1 million in 2017 and is estimated to grow at a CAGR of 12.8% during the forecast period. The market is highly influenced by factors including, innovative wireless solutions advancements on BYOD, rising HD contents availability, and increasing need to enhance passenger travel time experience. The technology comprises of audio & video entertainment, moving map systems, in-flight movies as well as personal televisions. Moreover, the audio & video entertainment technology offers broad range of movies, music libraries, and videos to the customers. Connectivity services of in-flight entertainment includes data communication, Wi-Fi, and satellite and internal telephony. The rising demand for comfort by passengers complemented by commercial aviation & fleet expansion is propelling the In-flight Entertainment and Connectivity market growth. Introduction of high throughput satellite has resulted in connectivity addition through Ka band for media content, geo-positioning services and many other applications. Also, rising popularity of digital advertising and availability of free Wi-Fi services are anticipated to fuel the market growth during the forecast period. For instance, in 2016, Global Eagle Entertainment partnered with Fiji Airways to launch sponsorship spot as well as advertising sales. Also, in the same year, Finnair announced to connect Wi-Fi in its A330 fleet along with some selected aircrafts. Furthermore, Qantas and Transavia airlines are offering Samsung VR featuring cockpit’s virtual tour, and movies to its passengers. Significant technological investments, FAA’s strict regulatory framework, as well as high capital requirement for installation are the few factors restraining the growth of the In-flight Entertainment and Connectivity market. 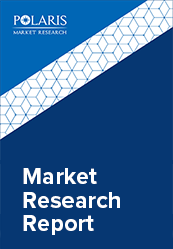 The In-flight entertainment and connectivity market is segmented into product and aircraft. The product segment is further sub-segmented into hardware, connectivity, and content. The hardware segment of in-flight entertainment and connectivity is categorized into portable devices and non-portable devices. The content segment is categorized into TV shows, movies, music, games and radio. A trend has been noticed in the market, where hardware suppliers are shifting their focus on content delivery thus, performing as system integrators. On the basis of aircraft, the market is categorized into narrow-body aircraft, very-large aircraft, wide-body aircraft, and business jets. The In-flight entertainment and connectivity industry is anticipated to observe high demands from wide-body aircrafts including, Boeing 787, 767, and 747 Dreamliner. The growth is attributed to high adoption of in-flight entertainment and connectivity technology by these systems. Further, the narrow-body aircraft segment is expected to grow at a high pace owing to increased frequency, low turnaround time, and optimal fuel management. North America In-flight entertainment and connectivity market anticipated to hold the largest share of the market, with US being the major contributor. This is due to availability of advanced high speed internet infrastructure, increasing usage of data in both air & ground applications as well as customization features delivered to the users. Also, Asia Pacific In-flight entertainment and connectivity market is expected to experience a high growth. The region is comprised of several developing economies that are experiencing high development and growth in their commercial aviation fleet thus, propelling the growth for in-flight entertainment and connectivity market. Further, the demand is also fueled by increasing standard of living as well as rising air travel frequency of the region’s population. Major industry players in In-flight Entertainment and Connectivity market include GoGo, Panasonic Avionics, OnAir, Global Eagle Entertainment, Honeywell, Inmarsat, Thales, Zodiac Aerospace, Echostar Corporation and Rockwell Collins among others.